The key to a long lasting, high shine Red Carpet Manicure is healthy, strong and hydrated nails. Our new line of treatments provide a solution to an array of nail problems, from dry cuticles to protecting your nails through the application process. Whether you’re looking for a solution to wear with your Red Carpet Manicure or whilst your nails are taking a break, take a look at our range of treatments fit for the red carpet. Red carpet ready nails depend on camera ready cuticles. Super hydrating cuticle moisturiser with a cherry scent. Problem: Dry, cracking or torn cuticles. Solution: Our extensive blend of oils and natural ingredients create an antioxidant cocktail that hydrates and cares for damaged cuticles. Create the perfect manicure by enhancing the look of your cuticles with this gel formula cuticle softener. Solution: The Cute-Icles’s Friend is a maximum strength cuticle softener for superior effectiveness and results. Celebrities are challenged with brittle and breaking nails from constant gel polish changes. Treat your natural nails to a nail strengthening treatment. Problem: Breaking and brittle nails. 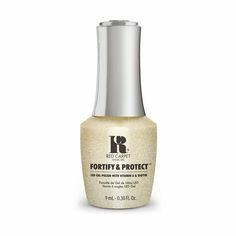 Solution: This exclusive protein enriched formulation with 20% actives counteracts the drying effects of frequent polish changes by hydrating and stabilising the nail, allowing for natural nail growth. Problem: Using ordinary base coats that create weaker natural nails. Solution: This 8-in-1 Base Coat instantly adheres to the natural nail giving any polish the perfect base. Argan and Baobab oils absorbs into nails to maintain their wonderfully smooth feel. The 8 Benefits: Base Coat, Strengthens, Restores, Hardens, Protects, Smooths, Conditions and Increases Wear. To secret to a long wearing and resilient manicure is all in the prep. Use the Manicure Life Extender to lock in your gel polish for longer wear. Problem: Manicures prone to wear and tear. 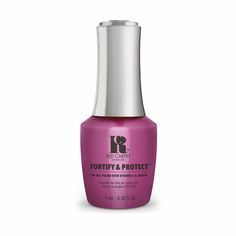 Solution: Using Celebrity Secret proven formula before a base coat thoroughly prepares the nail to provide the ultimate bonding surface. Now you can have perfect professional polish application without years of practice using this liquid cuticle guard for clean colour application. Problem: Messy application of nail colour to the finger and cuticle. Solution: This Over Polish Guard is a flexible film that protects the surrounding skin from untidy nail polish application. Keep up with all our new launches over on our Facebook, Twitter, Instagram and Pinterest!